We would like to congratulate Josephine Hamilton of Rio Vista for being the 2017 recipient of CALAMCO's $1000 Scholarship. Josephine is a 2017 graduate of Rio Vista High School, graduating with a 4.353 grade point average. She plans to attend California Polytechnic State University, San Luis Obispo this fall, majoring in Agricultural Business, and continue on with a law degree. During college her plans are to intern in Washington D.C. for a California Representative, as well as for a law firm. 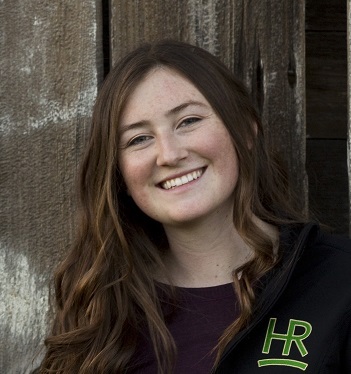 Post college, she would like to come back to the Delta region in California to continue her family’s ranching legacy, and help promote as well as defend the agriculture community. Because our top contenders for this years’ scholarship were both so deserving, we decided to award a second scholarship for $500. The recipient of this scholarship went to Colby Pantaleoni of Gridley. Colby is a 2017 graduate of Gridley High School, graduating with a 4.10 grade point average. 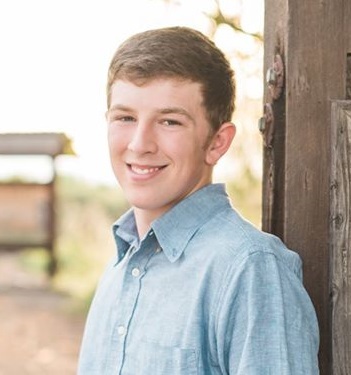 He plans to attend California Polytechnic State University, San Luis Obispo this fall, majoring in Bioresource and Agricultural Engineering, with a minor in Agribusiness. Colby’s goal is to work as a project engineer or project manager specializing in water project designs. He would like to manage land development, water projects, and irrigation. He hopes to someday engineer industry solutions, while managing advanced technologies. Thank you to the students that applied to CALAMCO for this year’s scholarship. They have all worked very hard throughout their academic career. Our industry is extremely fortunate to have so many bright and ambitious students pursuing careers in our industry.